Item # 319470 Stash Points: 8,495 (?) This is the number of points you get in The Zumiez Stash for purchasing this item. Stash points are redeemable for exclusive rewards only available to Zumiez Stash members. To redeem your points check out the rewards catalog on thestash.zumiez.com. 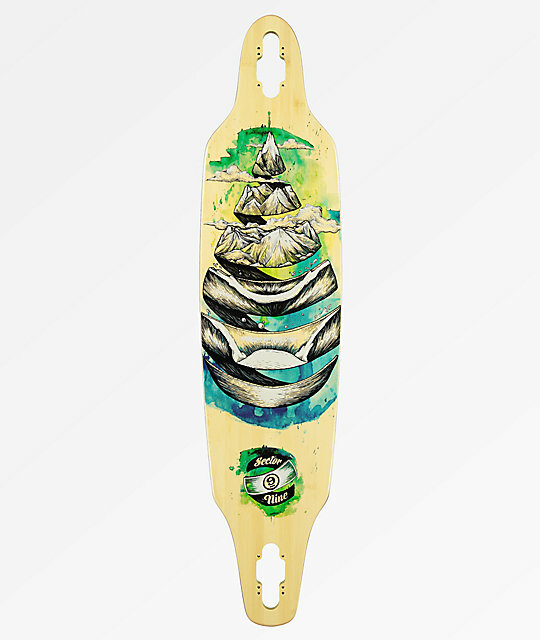 Build out your own perfect cruiser starting with the Sector 9 Droplet Lookout 41" Drop Through Longboard Deck. Slight flex and a drop through construction help save your legs on longer cruise sessions and the moderate concave throughout maintains a stable, locked in feel to your foot. Large wheel cut outs leave ample space for large downhill or cruiser wheels and the beach themed graphic maintains appropriate summer vibes. 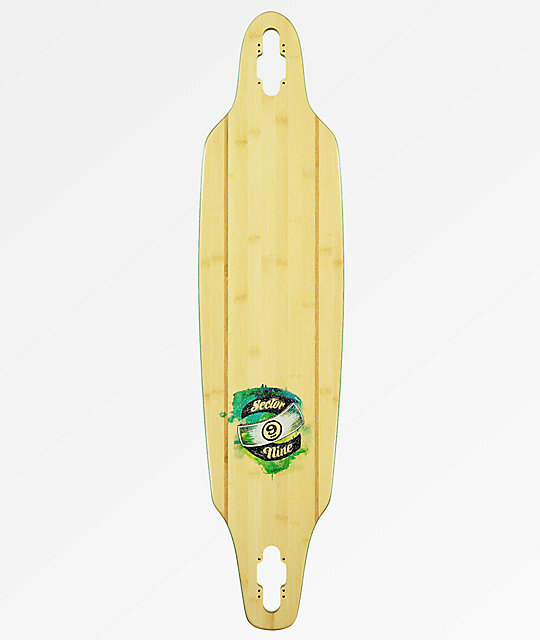 Droplet Lookout 41" Drop Through Longboard Deck from Sector 9.